ISLAMABAD: Prime Minister Shahid Khaqan Abbasi will chair a meeting of the federal cabinet on Tuesday to discuss the disparaging tweet pertaining to Pakistan by US President Donald Trump. 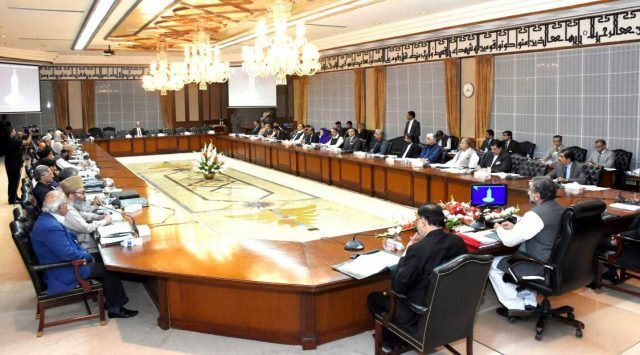 The federal cabinet will put their heads together to take stock of the current situation pertaining to the national security of Pakistan. Other national matters of particular importance are also expected to be discussed by the prime minister and members of his federal cabinet. Prime Minister Shahid Khaqan Abbasi has called a meeting of the National Security Committee on Wednesday following Donald Trump’s tweet in which he slammed Pakistan for harboring terrorists in safe havens throughout the country and said that the United States had ‘foolishly’ given Pakistan $33 billion in aid during the last 15 years.